Manly is the ultimate beach side suburb on the Northern Beaches that provides a relaxed lifestyle and is only 17kms North East of the CBD of Sydney. Manly has so much to offer with the beautiful Manly Beach as well as having the Manly Ferry to take you to Circular Quay while crossing the beautiful Sydney Heads. From the cosmopolitan buzz of Manly Corso with all the great restaurants, bars and cafes to the being able to explore the breathtaking nature and heritage of Manly by taking one of the many amazing walks, Manly has something to offer everyone. 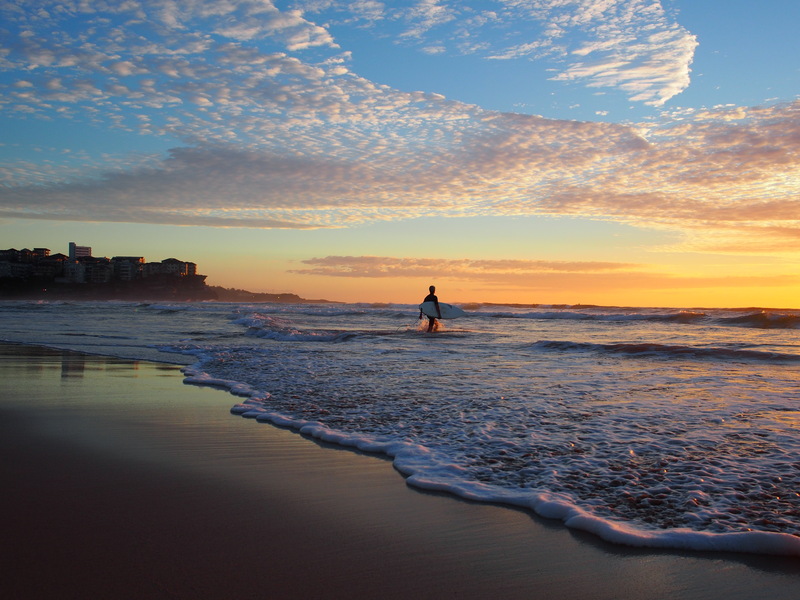 There is the iconic Manly Beach to either just chill out on, paddle out and surf a few waves or even explore the creatures of the ocean by snorkelling along the coastline of Manly. The most common ancestries in Manly are English 30.5%, Australian 21.5%, Irish 9.7%, Scottish 8.0% and German 2.9%. 39,747 people live in Manly of these 48.8% were male and 51.2% were female. Aboriginal and Torres Strait Islander people made up 0.3% of the population. In 1902, William Gocher broke the law at Manly Beach by swimming during daylighthours. First official bathing season was declared in 1903.